Americans are going that extra, terrifying mile to look good for Inauguration Day parties. 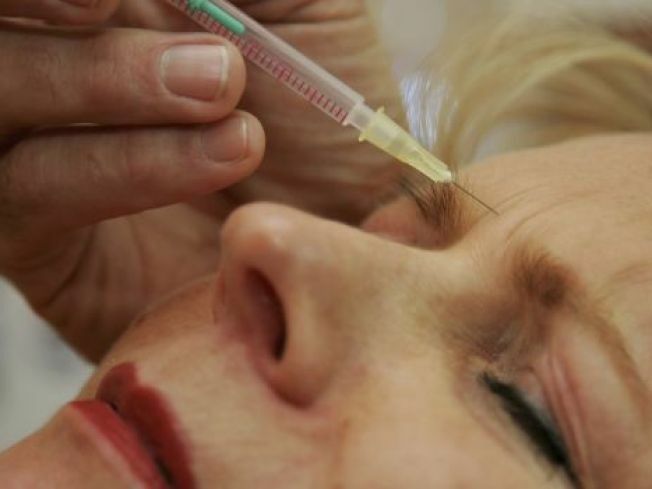 Was there ever a more potent metaphor for hope and change than Botox? We love this tidbit from USA Today in which dermatologists report seeing a big boost in business among clients looking to firm up just in time for Inauguration Day festivities - and not just in the nation's capital. Not surprisingly, D.C.'s derms are the most swamped (the 10 official inauguration balls alone must account for a fair number of jabbed foreheads), but cosmetic practices have also seen an increase in demand for their procedures in cities like New York, Boston, and Miami (where USAT notes most takers are "men in their 50s and 60s"). All of this middle-age prom primping is great news for cosmetic practices, 79 percent of which were complaining about sagging (titter!) business in a recent American Academy of Cosmetic Surgery poll on how economic recession is affecting the trade.